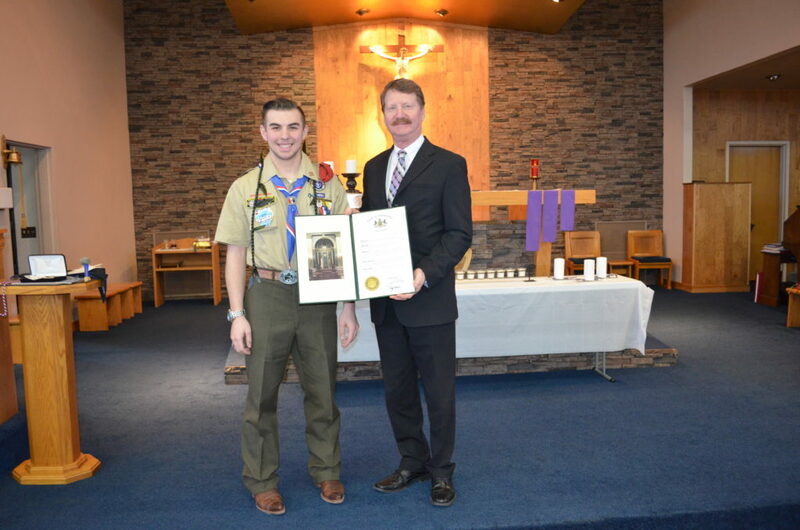 030918 - Senator Elder Vogel, Jr.
Congratulations to Tyler Martin from Central Valley High School on becoming an Eagle Scout. As a member of the Senate Appropriations Committee, I have had the opportunity over the past few weeks to review the Governor’s proposed fiscal year 2018-19 Budget and discuss the proposal with the heads of the various departments that comprise our state government. Click here to watch video and read summaries of every Senate Appropriations Committee Budget hearing for the Fiscal Year 2018-19 Budget. A few highlights from the hearings are when I questioned Department of Environmental Protection Secretary Patrick McDonnell on my six year effort to get lower gasoline prices in PA. During my discussion with the Department of Military and Veterans affairs as well as the Department of Corrections, they explained the benefits they see through the use of Telemedicine, which I hope to expand with my bill (SB 780). I asked Department of Transportation Secretary Leslie Richards about PA’s outdated vehicle emissions testing regulations and discussed my efforts to have the program revised or eliminated in Beaver County. I also spoke with the Department of Education on the importance of agricultural education, and the problems schools are having with underfunded pupil transportation. For more information and to see all of my questions during the Appropriations Committee Hearings please visit my website by clicking here. The hearings for the Department of Human Services and the Governor’s Budget Office are being rescheduled. I will share that information with you when I know the date they will appear before the committee. On March 24th the Lawrence County 4-H community will be hosting the 18th 4-H Benefit Auction. Everyone is invited to attend, the auction will be held at the New Englander in New Castle PA. All items are generously offered for sale through volunteer efforts. This will be the Lawrence County 4-H’s ONLY fundraiser in 2018. If you or your child have ever attended any event or received an award, or plan to attend an event in 2018, this will be the fundraiser that helps alleviate the cost for you. The Lawrence County 4-H Program contributes roughly 75% to attend all county, regional, state, and national 4-H events. For more information on the auction contact Penn State Extension by calling 724-654-8370. 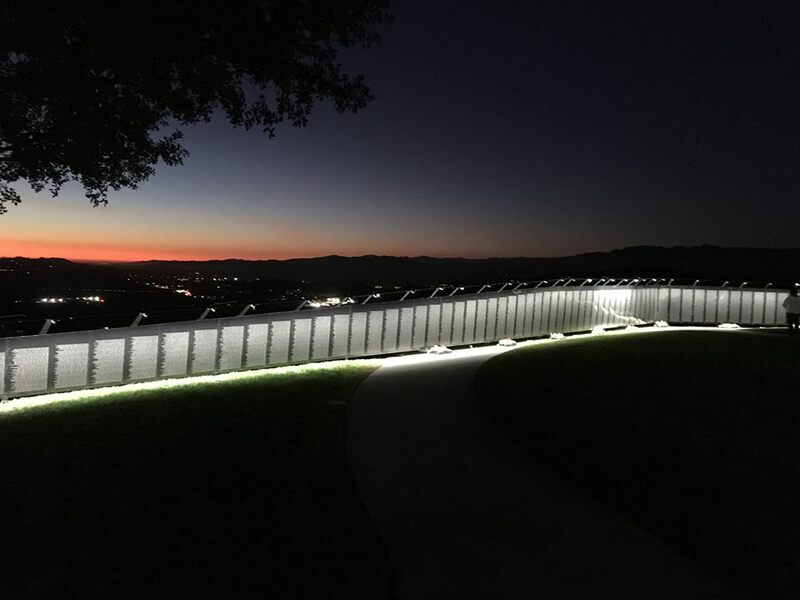 The Pennsylvania General Assembly is hosting The Wall That Heals exhibit featuring a replica of the Vietnam Veterans Memorial wall in Washington DC. The Wall will arrive in Harrisburg on Wednesday, May 9th and will be open to the public following the opening ceremony at 7pm. The Wall will then close on Sunday May 13th at 2pm. The replica will be located on the lawn, in front of the Irvis Building, at the intersection of Commonwealth Avenue and Walnut Street, and will be open for 24 hours during the duration of its stay. Activities are being planned around the exhibit and more information can be found by emailing Melissa Hershey at mhershey@pasen.gov or call 717-772-0500. VA Pittsburgh Healthcare System Director Karin McGraw invites you to join the VA for their Veterans Town Halls. These town halls allow veterans, their families and the general public to meet with VA leadership. Attendees can ask questions, tell the VA what they are doing right and point out ways they can improve their services. VA Pittsburgh Health Care System, University Drive campus, University Drive, Pittsburgh PA, 15240. For a Calendar of events to see the next town hall meetings please follow this link. It was a pleasure seeing Dave Tritt, Assistant Fire Chief with the Ellwood City Fire Department, at the Ellwood City Fire Department Banquet. Happy Retirement, and I wish you the best with all your future endeavors. 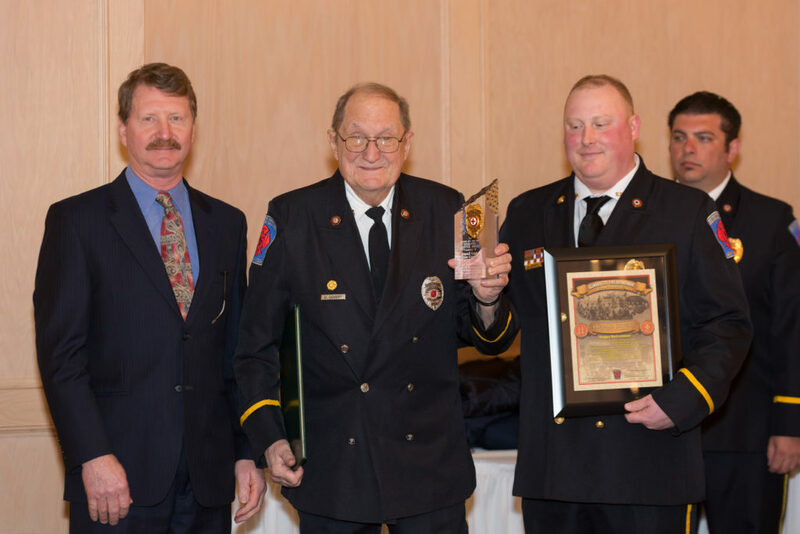 I’d also like to congratulate Donald Covert on his retirement from Ellwood City Fire Department after 45 years of service. 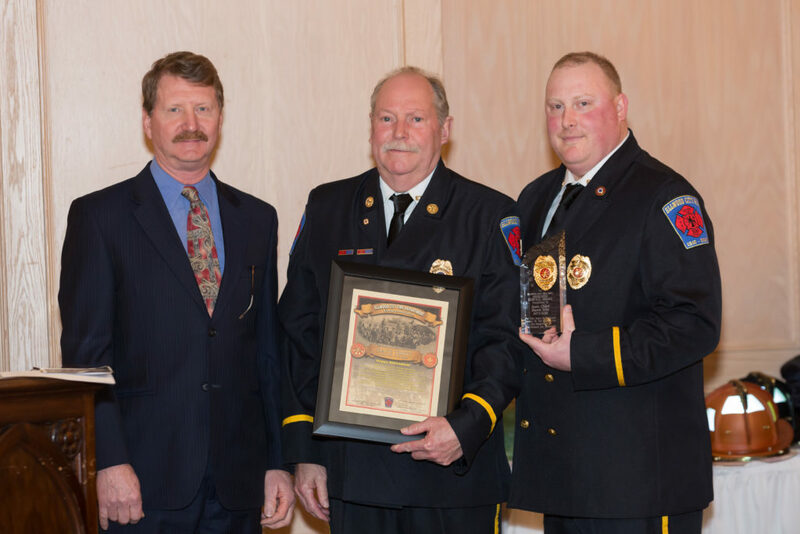 Mr. Covert was the Rescue Squad Captain and was given the dedicated service award. Wishing him luck and happiness in his retirement. The Pennsylvania Housing Finance Agency is requesting proposals for the awarding of Community Revitalization Program funds. The funding is to be used for the construction or rehabilitation of mixed-used developments to stimulate neighborhood revitalization in Pennsylvania. Proposals are being sought from across the state. The period for proposal submission began March 6th and ends at 2 p.m. on Friday, June 8th. This new program was created as part of the Commonwealth’s fiscal year 2016 budget that allocated tax credits for PHFA to sell to generate the needed capital. PHFA was directed by the General Assembly to administer both the tax credit and program components of this initiative. Interested organizations can learn more by visiting the webpage at: https://www.PHFA.org/mhp/developers/loans.aspx. The RFP and program guidelines are available there for review. Also, an informational webinar about this funding will be provided on March 22; more details and a registration link will be available on this webpage. Questions can be directed to Bryce Maretzki at PHFA at (717) 780-1867 or by email at bmaretzki@phfa.org. The Pennsylvania Department of Environmental Protection (DEP) has released a new resource for understanding what landowners can do to work in or adjacent to streams impacted by flooding. The full-color booklet, Guidelines for Maintaining Streams in Your Community, is an easy-to-use resource for understanding the DEP regulations that apply when working in Pennsylvania streams. With 86,000 miles of streams and rivers in Pennsylvania, DEP receives many inquiries about stream work from municipalities, landowners, businesses, and communities affected by flooding, or by those simply wishing to perform stream restoration to protect property and infrastructure and prevent future flood impacts. The guide is a first step in determining what regulatory requirements may apply before beginning a project. It contains a helpful “green, yellow, and red light” list of potential stream activities to indicate whether permits are likely to be required. The booklet contains additional sections on myths and rules of thumb, and was reviewed by local government officials who typically are the first stop for landowners seeking guidance. The PDF booklet can be downloaded from the DEP website at: http://files.dep.state.pa.us/Newsroom/NewsroomPortalFiles/StreamMaintenanceBooklet.pdf. The posters, which include the cautions and regional contact information, and are suitable for downloading, can be found here. Additional fact sheets, with details on regulations, emergency authorizations, and assistance, can be found here.